The missing person was located! On Tuesday March 21, 2017, at about 10:38 AM, 21-year-old Yage Zhang was reported missing to the Arcadia Police Department. Zhang was visiting in the Los Angeles area from San Francisco and was staying with an unknown group of friends. On today's date at approximately 4:00 AM, Zhang texted his father and told him he was uncomfortable with the people he was staying with. This was the last communication from Zhang. It is unknown on Zhang's exact whereabouts or who he was with. Zhang was in good health and does not suffer from any mental illnesses. 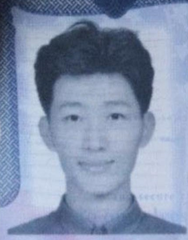 Zhang was described as being a male Chinese, 5’07” tall, 125 pounds, black hair, brown eyes, unknown clothing, and has an unknown tattoo on his chest. Anyone with information is asked to call the Arcadia Police Department at 626-574-5123. Thank you for your assistance...subject is safe with family.